In today’s culture, youth and beauty have gained such importance as to be considered a commodity. From the professional who doesn’t want to be seen as past their time, to celebrities vying for the best roles, the evidence is only growing when it comes to the importance of gaining an edge in beauty and aging. One way that people from all walks of life are gaining that edge is through microneedling. Microneedling is a procedure that works to induce collagen production and strengthen the epidermis (outer layer of skin). The increased collagen production and epidermis strengthening directly lend itself to improving signs of aging such as wrinkles, fine lines, and more. Perhaps the most important consideration for this treatment is the fact that microneedling is both preventative and regenerative in nature. Whether you are in your 20’s and want to get ahead of the game or in your 50’s and want a more youthful appearance, microneedling can be an effective treatment in your age management plan. 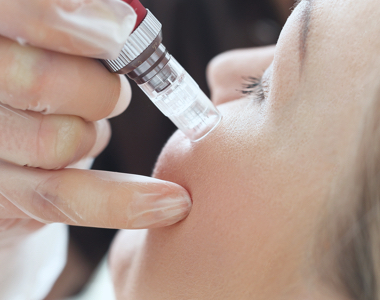 Continue reading to learn more about this procedure including its history, benefits, potential side effects, and getting started with microneedling. Microneedling as a concept dates as far back as 1995. Dr. Norman Orentreich and Dr. David Orentreich detailed dermal needling through subcision for scar treatment. Then in 1997, it was picked up by a plastic surgeon who ran with this idea by using it to reduce tension from post-surgical scars. Fast forward to 2006, and a plastic surgeon named Fernandes self-designed the drum-shaped device most patients are familiar with. At this point, it was used for percutaneous collagen induction. 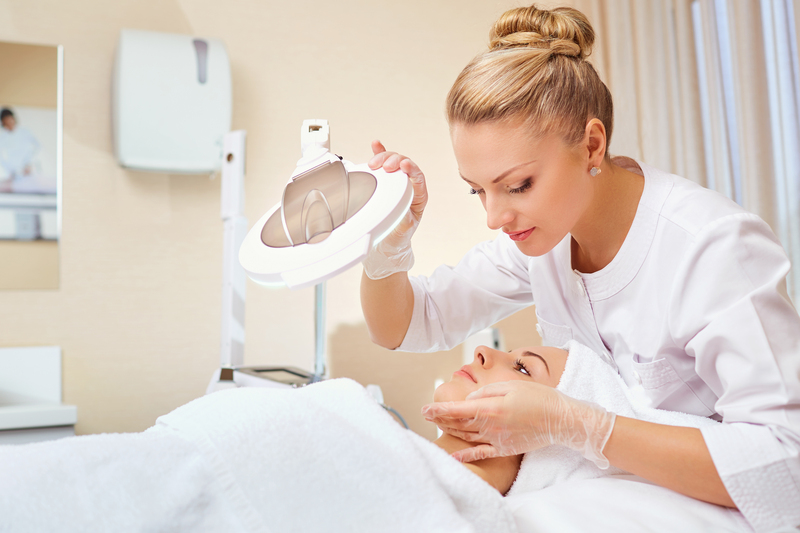 As of June 2018, microneedling is considered a class 2 procedure. SkinPen Precision is currently the only FDA approved device under this new classification, with other devices getting through the process. Make sure that your provider is licensed and certified according to the new classification. As its name implies, this treatment uses a wand that contains very fine point needles. The extra fine tips when passed over the patient’s skin create micro-injuries in the skin. This causes the skin to go into repair mode, which is where collagen induction comes in to play. The “injuries” themselves create channels to help direct the collagen and elastin to fill in the wound. While this procedure does not halt or reverse the aging process itself, it does naturally stimulate the body’s regenerative properties. By directly stimulating the body’s regeneration, the years can fade away due to the new skin forming over pre-existing wrinkles, scars, fine lines, and stretch marks. With microneedling, 50 can be the new 30. Though minimally invasive, microneedling is not without risk. Most commonly, patients can expect to experience minor skin irritation immediately after the procedure. Along with the irritation, you can expect to see redness for a few days. If you have any concerns or are not sure if this procedure is right for you, make sure you discuss with a licensed, qualified practitioner who can address your concerns and mitigate your risk. Finding an expert is as simple as visiting our online community. With AgeMD, valuable information detailing Microneedling as well as qualified practitioners for this treatment is at your fingertips. Keep in mind that your health and safety comes first with any treatment. That’s why our mission is to give consumers control over their health by getting them connected with practitioners that are licensed, verified experts focused on Microneedling. Below you will find answers to our user’s most common questions. Our goal is to keep you easily informed as you research ways to realize your anti-aging and age management potential. The total cost of treatment depends on the number of treatments needed, areas treated, the size of the treated area, and your aesthetic goals. In general, the average cost ranges from $100-$700 for each treated area. Who you choose for your microneedling treatment as well any package pricing may influence the final cost for this procedure. Microneedling is not covered under insurance so all costs will be out of pocket. Each person has a different starting point as well as different aesthetic goals. This results in a variation for the number of treatments required. Your age, as well as the starting point of your skin’s condition, will influence the number of treatments required. Also, whether you need collagen induction or scar reduction will influence the number of treatments needed. That being said, most patients can expect to need between 4-6 treatments to realize optimal results. How long is the recovery time with Microneedling? Thanks to the microneedling procedure being non-surgical, the treatment requires minimal recovery time. Most patients resume normal activities within 24 hours if not sooner. The main issue concerning recovery time is the potential side effects. Most patients experience feeling effects similar to a sunburn and may experience light pinpoint bleeding. Depending on the severity and your comfort level with the side effects, you may want to consider taking a day or two off for your recovery. How quickly will I see results from Microneedling? Because of the nature of this procedure, results are almost immediate after treatment. The procedure involved causes micro-wounds in the treated area. The body and the skin want to heal and repair damage as quickly as possible. That’s why this treatment is so sought after for its collagen induction. However, while you will see some immediate results the full extent of your results will be noticeable 4-6 weeks after the procedure. The number of treatments needed and your preexisting condition can affect the timeframe. Consult with your physician if you feel like results are not occurring as they should be. How long will my Microneedling results last? The results from microneedling are not designed to last indefinitely. Skin is a living organism that is constantly shifting, growing, and adjusting. Patients experience the best results when using a microneedling as an ongoing maintenance routine. Typically, once every 3 months is sufficient to maintain results from microneedling. Consult with your physician to determine the best maintenance and care regimen for your skin and your goals to get the best results for you. Are there other similar options to Microneedling? With the growth in skin care procedures, there is almost no limit to treatment options. While microneedling is quite popular, it is not the only procedure of its kind available. Some alternatives include microdermabrasion and other dermal rollers offer slight differences from microneedling while still falling under the collagen induction therapy umbrella. There are also new forms of microneedling that don’t involve needles at all. These treatments are being hailed as a non-needle needle treatment by patients. Besides needles and rollers, there are also laser resurfacing therapies as well as dermal fillers to achieve a more youthful appearance. Consult with your physician to determine the right procedure for your needs.